when visiting Koreatown. Photo by T.Tseng. The Los Angeles Times’ “Ultimate Guide to Koreatown” covers everything the 2.7-mile neighborhood has to offer: spas, restaurants, markets, bars and more. Jonathan Gold notes that Los Angeles has the largest population of Koreans outside of Korea. 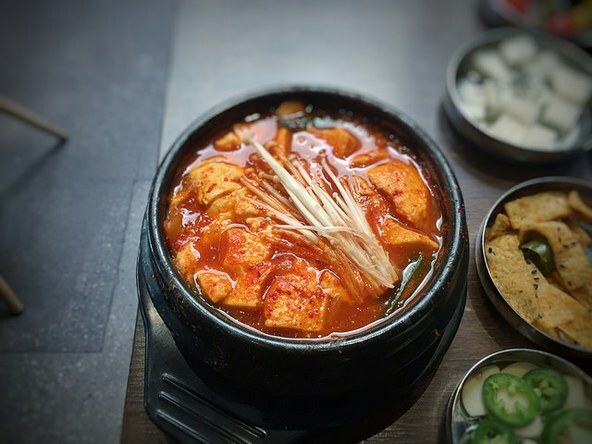 Which means there’s no shortage of destination-worthy restaurants in this area serving up specialty dishes like soft tofu soup and short rib stew.